How many phone numbers do you have memorized? If your cell phone is down, so is your phone list. How can you help? When you get to an evacuation gathering site, do you have skills to help take care of frightened children? Computer skills to help take down information? Carpentry skills to help rebuild or stabilize homes? How many people do you know by name on your street? Can you recognize their children—more importantly, can their children recognize you? How long can you stay cheerful? The current buzzword in community help agency circles is resilience. It’s the ability to cope and overcome problems. Resiliency in a community is key in recovering from disasters, or just plain hard times. Community resilience is built on a foundation of people knowing each other. If you don’t know the people who live next door to you, or behind you across the fence, or on the other side of town, you can’t help them and they can’t help you. I’ve heard that when a natural disaster first hits an area, everyone bands together—the first week. By the end of the month, everyone is “all funned out,” as Cuzco says in The Emperor’s New Groove, but the rebuilding has only just begun. Popular Mechanics has a special edition of “The Ultimate Survival Guide” on newsstands, so you can “adapt like the Special Forces.” Ultimately, survival depends on how a community can work together using the knowledge and experience of everyone in it. That sense of community starts now: know the people around you, know the people on the other side of town, know what you can do to help once you’ve been helped. It’s not the Apocalypse we have to worry about: it’s each other. 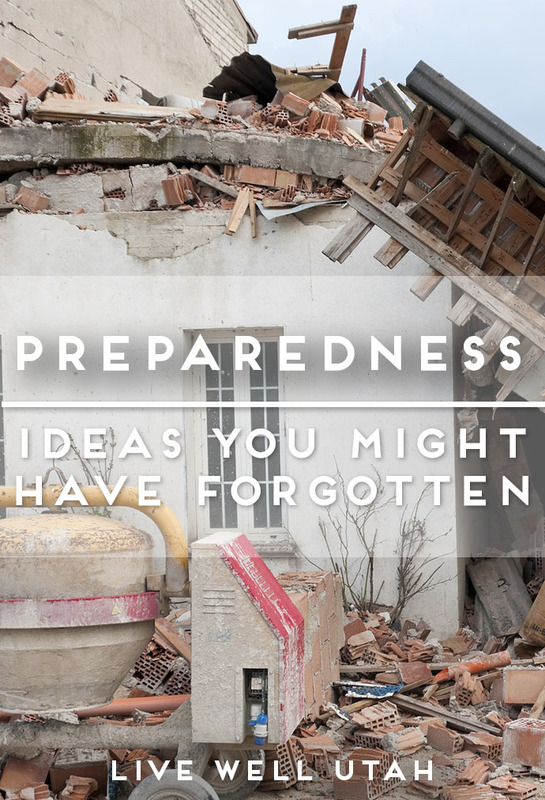 Interested in learning more about preparedness? Come to the Utah Prepare Conference and Expo this Friday and Saturday, September 8 & 9 at the South Towne Expo Center in Sandy.